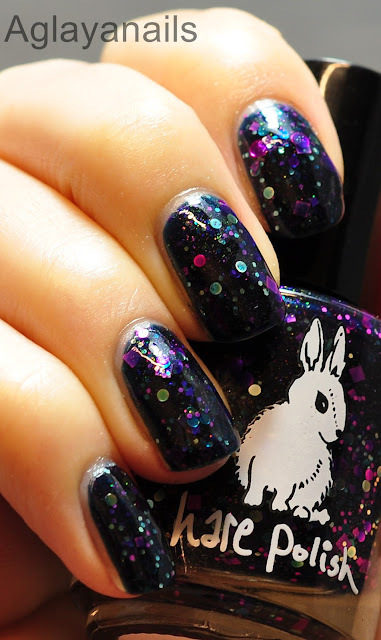 Perfect Storm is the name of today's polish, and it's by Hare Polish. 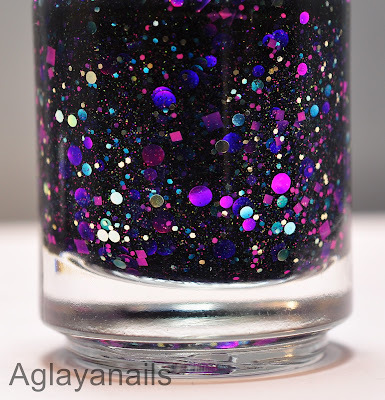 Perfect Storm has a dark teal jelly base that looks almost black, and is filled with magenta and silver hex and dot glitters and magenta squares, plus some microglitter. 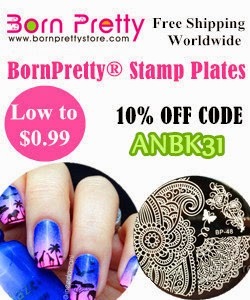 I used three coats and added two coats of KBShimmer Clearly On Top. 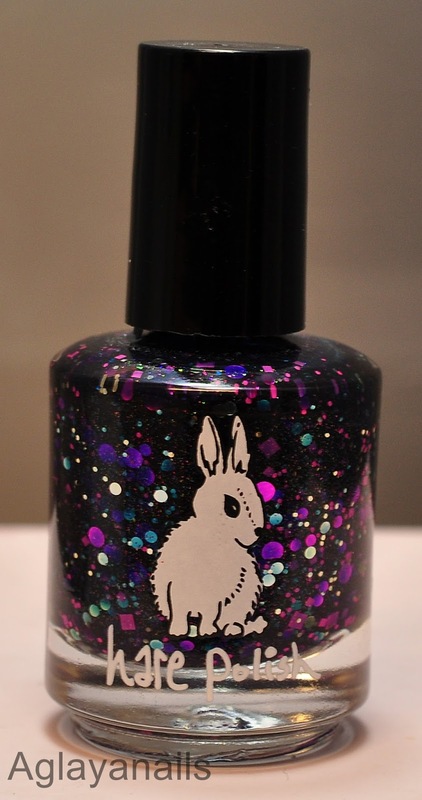 The brand Hare Polish seems to be no longer available.